The short answer is no — but there are some considerations that diabetics (and their health care providers) need to keep in mind. For example, it has been demonstrated that wounds in diabetics tend to heal more slowly, and are more prone to infection than those in non-diabetics. Also, people with diabetes sometimes experience a chronic inflammatory response, which can eventually lead to tissue damage or other problems. Because the placement of dental implants requires minor surgery, dentists and researchers have questioned whether people with diabetes are good candidates for implants. Now there’s encouraging news: Several recent studies have come to the conclusion that many diabetics can indeed undergo an implant procedure without undue risk. 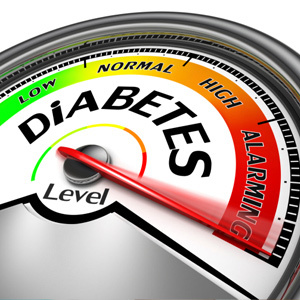 One key consideration is how well an individual can control his or her blood glucose levels. Researchers have found that diabetics with good blood glucose control, those with poor glucose control, and non-diabetics all have similar implant success rates (above 95%). However, in diabetics with poor glucose control, more time may be needed for the jawbone to heal in the area where the implant procedure was done. 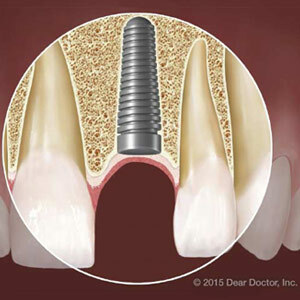 That doesn’t by any means rule out the placement of a dental implant — but it does mean that special considerations apply to individuals in this situation. So if you are considering an implant procedure but have trouble controlling your blood glucose levels, ask us how we can help. Just remember that in most cases, having diabetes doesn’t mean you won’t be able to enjoy the benefits of dental implants. If you have additional questions, contact us or schedule an appointment.